Found Toy Story My Busy Book in Asda store (Spondon, Derby) for £5. These are great books as they have a story as well as a playmat and 12 little toy figures. Couldn't find it on Asda Direct but have just found it on the online grocery site. Link below. These are great value. 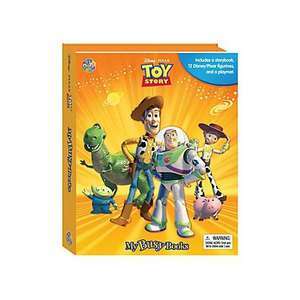 I got my 2 year old son the toy story and cars ones and he loves them, make great stocking fillers! yes, they dont seem to stock them online, but they are instore, they have quite a few, off the top of my head, i know they also had Thomas the tank engine, Dora the explorer and Disney princess. Deal posting newbie! This is clifto first deal post. Help out by leaving a posting tip or just to show your appreciation for their contribution.